Christmas is near and you want your love once to enjoy the occasion, but, do you have something to prepare for the occasion? Do you want to be unique this Christmas? Well, you need to try and baked some cookies. But this cookie is alike of those traditional one. 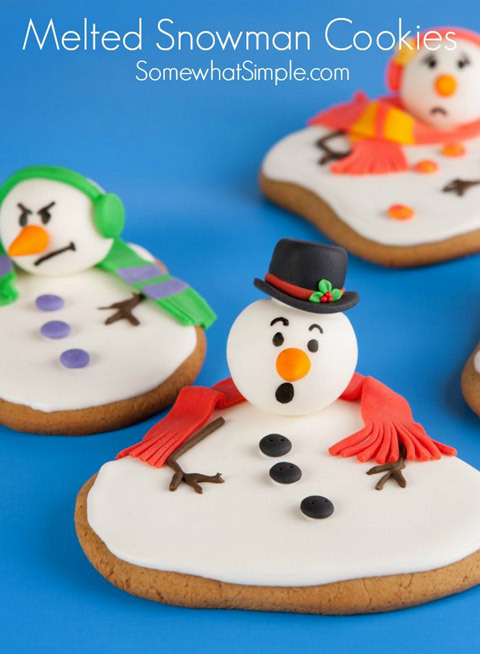 These easy melted snowman cookies that is great for Christmas or other occasions is very easy to prepare and all of your love ones will enjoy this, not only the design but also the taste of this unique beautiful cookies. You can prepare this cookie not only for some occasion but also for your children meal.